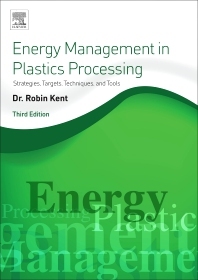 Energy Management in Plastics Processing: Strategies, Targets, Techniques, and Tools, Third Edition, addresses energy benchmarking and site surveys, how to understand energy supplies and bills, and how to measure and manage energy usage and carbon footprinting. The book's approach highlights the need to reduce the kWh/kg of materials processed and the resulting permanent reductions in consumption and costs. Every topic is covered in a 2-page spread, providing the reader with clear actions and key tips for success. This revised third edition covers new developments in energy management, power supply considerations, automation, assembly operations, water footprinting, and transport considerations, and more. Users will find a practical workbook that not only shows how to reduce energy consumption in all the major plastics shaping processes (moulding, extrusion, forming), but also provides tactics that will benefit other locations in plants (e.g. in factory services and nonmanufacturing areas). Dr Robin Kent has a B.Eng.(Hons.) in Materials Engineering from Monash University (Australia) and a Ph.D. in Polymer Physics from the University of Surrey (UK)). He has been involved with polymer processing since 1971 and has worked as Technical Director for several of the major plastics processing and window systems companies in UK and Europe. He has published over 400 technical and management papers on plastics and windows and 6 books on plastics processing. He regularly lectures on energy management in plastics processing and materials technology throughout the world. He has chaired 5 committees setting standards for the UK plastics and window industry and is a regular judge for major plastics and glazing industry awards.